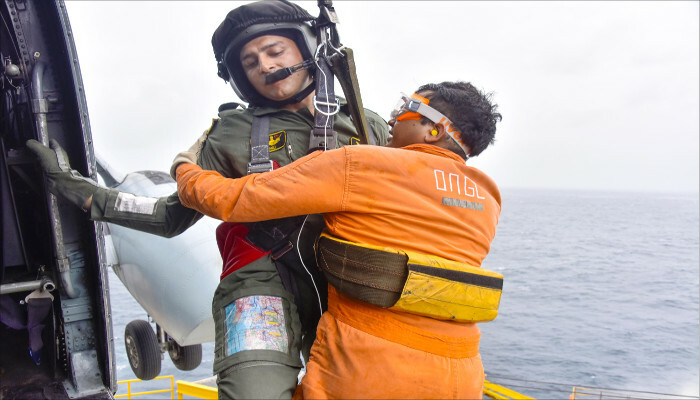 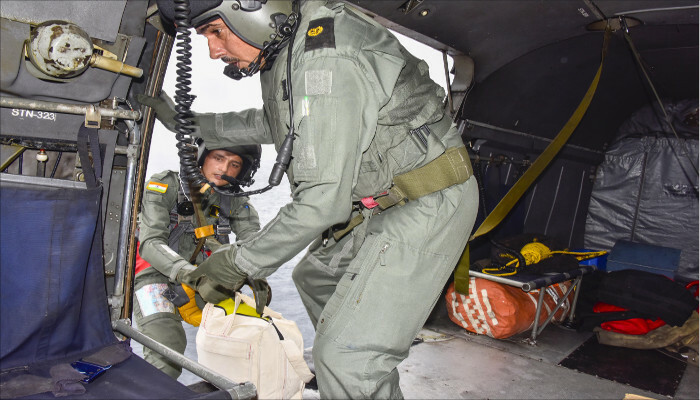 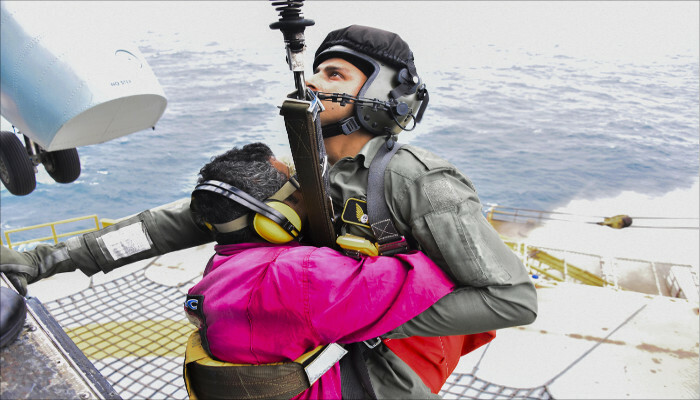 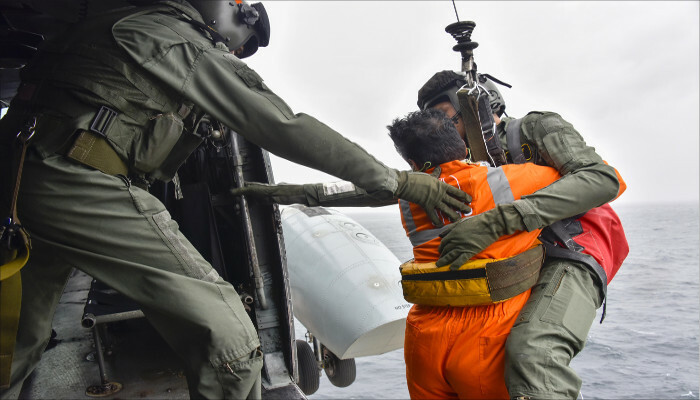 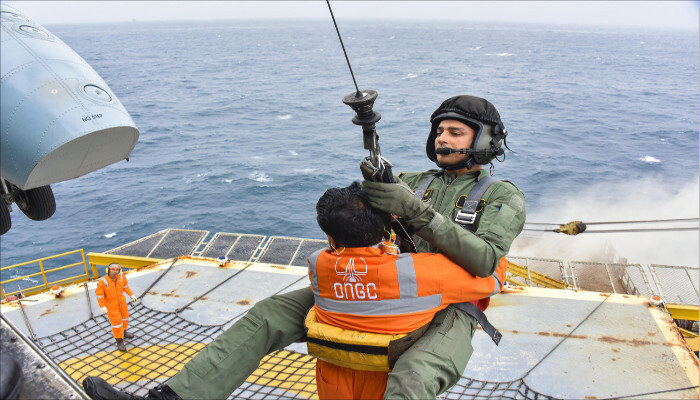 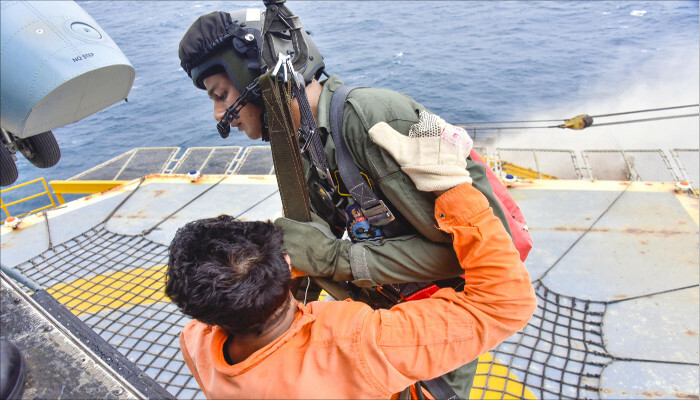 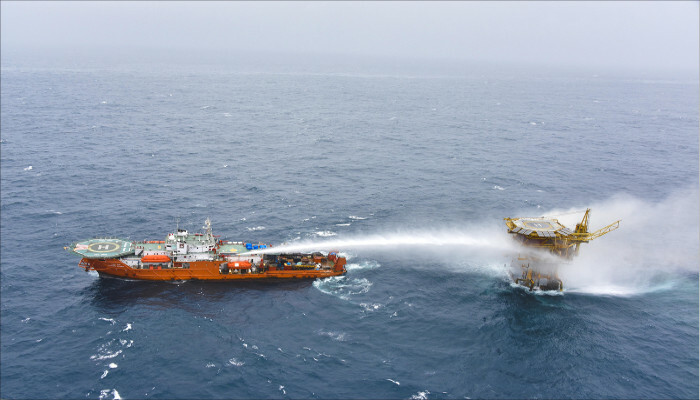 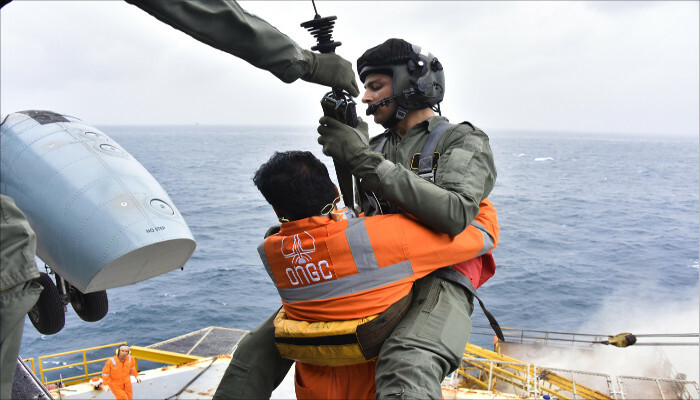 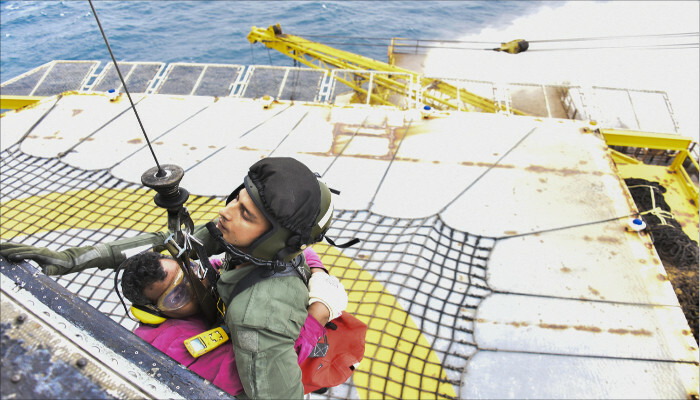 The Indian Navy launched a Seaking 42C helicopter to transfer ONGC technical team to offshore platform S1-6, where a gas leak was reported on 22 July 2018. 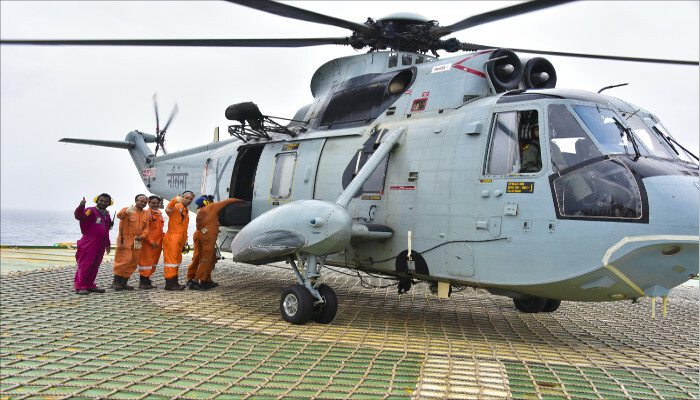 The naval helicopter undertook the mission in challenging circumstances including strong and gusting winds of over 30 knots. 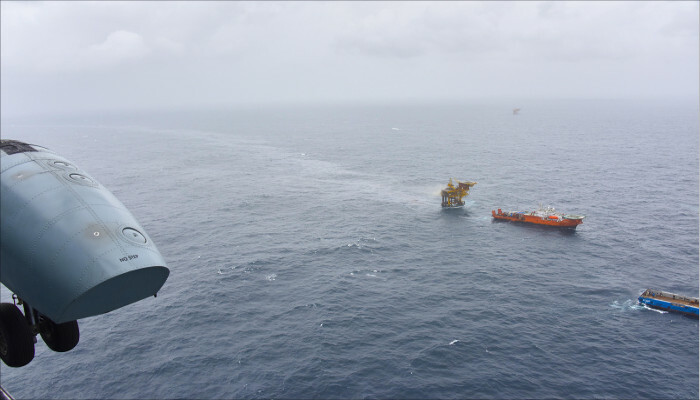 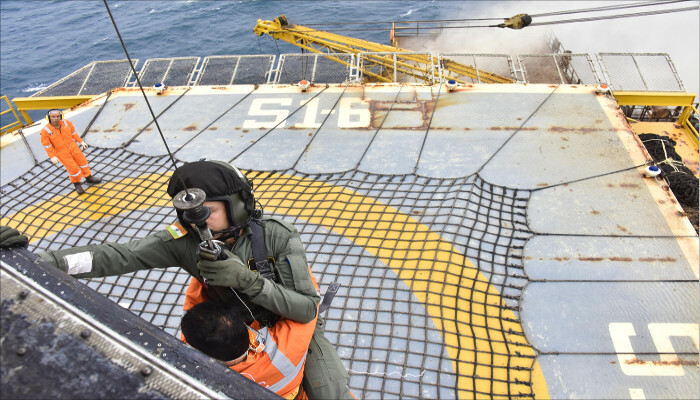 Due to the small size of the helipad on the imperiled offshore platform, the repair team was winched down from the helicopter.